Digital technologies have drastically changed the way businesses operate. Businesses are increasingly trying to provide a superior and seamless experience to their customers, and thus improving their bottom line. The proliferation of mobile devices, advanced knowledge of consumer behavior powered by analytics and the emergence of the Cloud has produced new opportunities as well as business challenges. Companies are struggling to innovate and grow due to a fragmented technology landscape, constant product evolution and changing consumer preferences. 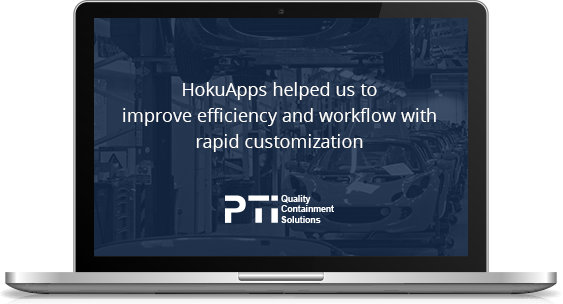 HokuApps is a Rapid Application Development Platform that enables Digital Transformation for global organizations by leveraging new technology. Our Digital Transformation consulting helps companies improve products and services, enhance customer experience, enter new markets, and increase revenues. The solution is to develop Digital Experience Platform by leveraging your existing assets and investments into a unified business ecosystem. 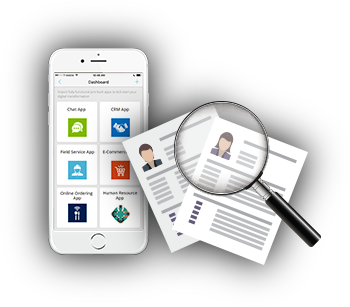 With our mobile application development platform, organizations can build and deploy mobile apps customized to their unique ecosystem in a radically short time frame. Gain visibility with on-demand business intelligence and create unified analytics dashboards, all by connecting your disparate systems together spread across your organization. From creating revolutionary technology for complex business workflows to connecting different business systems, our Rapid Application Development Platform gives you the ability to realize your vision of an agile organization. Digitize business processes, accelerate business decisions, drive agility and efficiency, without any fuss and at the speed of thought. 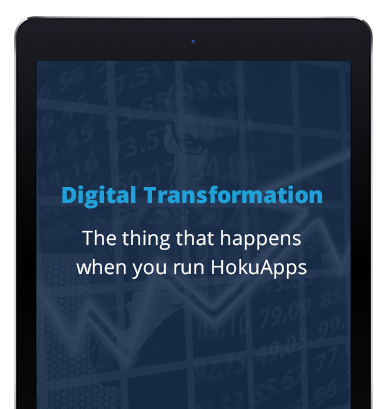 HokuApps Rapid Mobile Development and Data Connect Platform, coupled with a host of custom enterprise applications, radically accelerates delivery of innovative business applications. 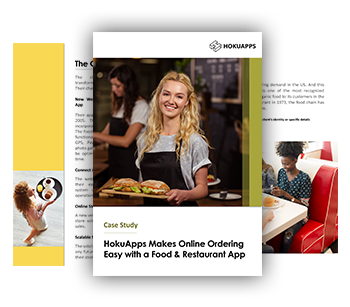 HokuApps helps design, build and run your digital future to innovate faster than the competition.